“Häfele Kitchen Conference 2015 - Complete Solutions for the Heart of Homes”, held at the GEM Center in District 1 of Ho Chi Minh City, is the first conference of its kind in Vietnam on April 08, 2015 . Throughout the course of the event, Häfele will introduce its Complete Solution - a detailed guideline from both planning to installation with the support of Häfele’s partners. The Complete Solution will allow participants to utilize kitchen space more efficiently, express homeowner’s style and help transform “The Heart of Homes”. 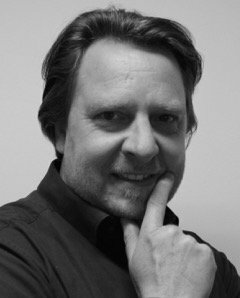 Dominik Fruth joined Häfele Singapore in 1998 and up to the present, he has had more than 20 years’ experience in Asia starting from 1994. Dominik has contributed to Häfele’s growth strategy and business expansion in the South East Asia region and was appointed to General Director of Häfele in Vietnam, Singapore and Malaysia. Following the Häfele’s expansion plan, Dominik successfully set up a subsidiary in Vietnam. Today, Häfele Vietnam employs more than 300 full time staff. As a veteran in the furniture fittings and hardware industry, Dominik offers to redefine the boundaries of traditional home improvement in Vietnam by offering a full range of Häfele products and services for the modern households. With more than 20 years of experience across multiple industries, Frank Schrodt is an expert in the field of Marketing and Sales. Since 2010, Frank has been heading the operations of Kesseböhmer China in Shanghai as General Manager and Director of Sales and Marketing in Asia Pacific. As a former Sales Director at Artemide, the world-renowned company of design & lighting, he has acquired a deep understanding and knowledge of design in the kitchen industry, as well as understanding of the varying local needs and cultural differences all over Asia. The secret to his success is simple: “think global, act local”. Under this maxim, Frank and his team developed a number of products that are customised and focused on the Asian market and perfectly adapts to the customers’ needs. 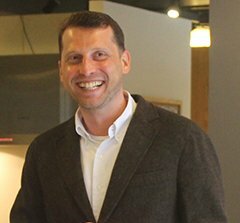 Martin Schiessl specializes in omni-channel customer engagement solutions for kitchen designers and manufacturers using Blum systems method that focuses on the needs of today’s demanding kitchen customers. Prior to coming to Asia, he has held jobs at Siemens Automotive and E.ON based in Dusseldof, Germany. He has also worked at the Singapore-German Chamber of Industry & Commerce, which is part of a network of 120 offices in 80 countries. Martin joined Blum Vietnam in 2008 and has been making sure that many Vietnamese homeowner dreams of a well-organized kitchen where all the dishes, pots, pans, utensils and even small appliances are perfectly arranged in cabinets and drawers. 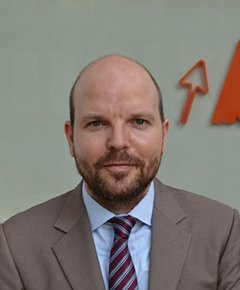 Sascha Kirchner, who hails from Germany, presently leads Häfele’s operation as General Manager North Vietnam since 2011. He is responsible for growth strategy across Häfele Vietnam’s portfolio which includes furniture fittings, architectural hardware, home appliances and sanitary fittings. Sascha joined Häfele in 2009 and has successfully launched the Bosch home appliances and Blanco sinks & taps division. 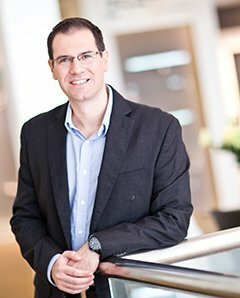 Sascha holds a degree in international trade as well as in business and law. He built his expertise in a diversity of business sectors including automotive, manufacturing, telecommunications, banking, construction, e-commerce, international trade as well as retail and wholesale. Additionally, Sascha serves as a board member of the German Business Association in Vietnam which has a membership of more than 170 companies and regularly organizes networking events for the international business community in Hanoi. A veteran of the home appliance industry, Denise has had a career spanning decades and departments. She joined Gaggenau in 2004 and became the Managing Director in 2013. In the rise through the ranks, Denise covered the areas of sales, training, trade and product marketing, brand communications and country management. Her achievement includes the successful spearheading of BSH Group’s new subsidiaries in two of the largest developing markets in Asia – namely Taiwan and Indonesia. 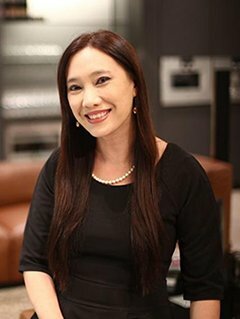 Under her leadership, Gaggenau has gained a strong reputation as a luxury brand in Singapore & the Asia-Pacific.